If you think carrying one baby is hard, try carrying a dozen. 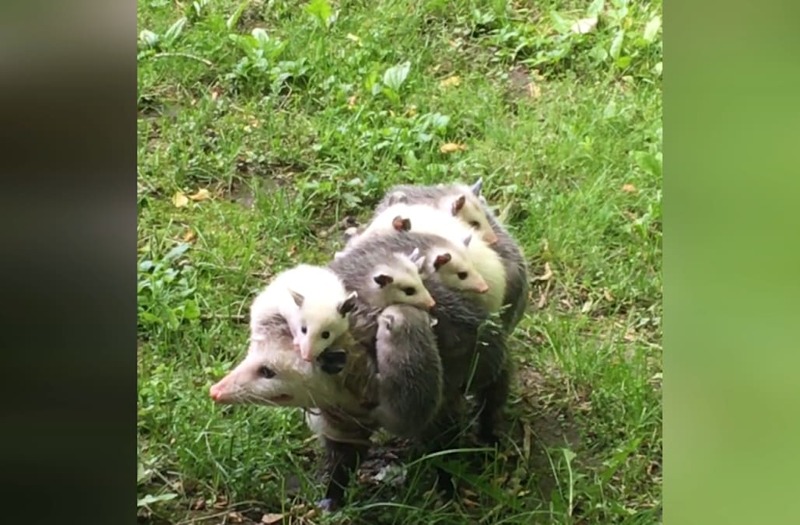 A mother possum was captured on camera in Wisconsin giving all 12 of her offspring a ride on her back. Jim Stoller, of Twin Lakes, who watched the doting mother walk past his office, said he nearly mistook the family for a mangy cat. "She was coming right for the door, so I pulled out the phone again and started filming," Stoller told Viral Hog. He was even able to get a close up shot of the mom waddling along as all 12 of her babies hung on tightly.